Discussion in 'iPhone and iPad Games' started by myndarc, Oct 3, 2016. 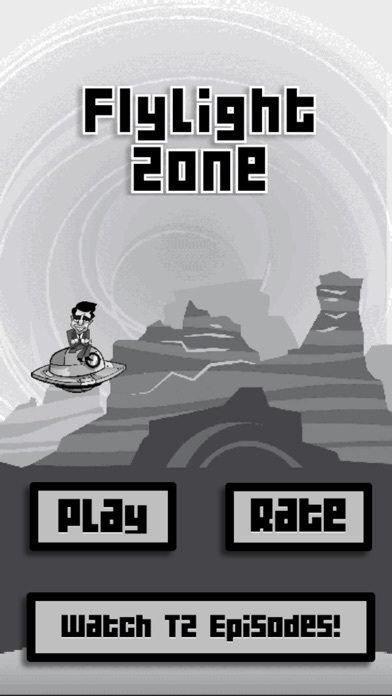 Hey guys, I'm probably the words biggest Twilight Zone fan so I made a game based on the show. 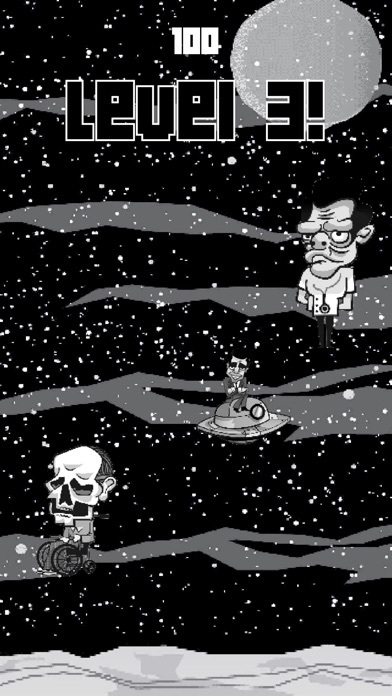 You're traveling through another dimension on your iPhone, a dimension not only of sight and sound but of touch. A journey into a wondrous digital land whose boundaries are that of imagination and battery life. That's the signpost up ahead - your next stop, the Flylight Zone! 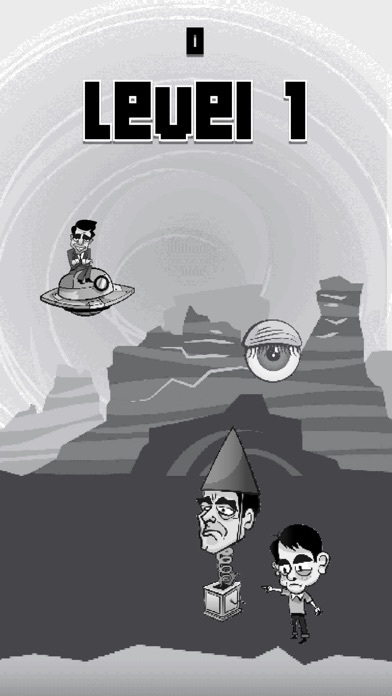 Flylight Zone is an action adventure game based on the greatest TV show of all time: The Twilight Zone. Guide TZ creator Rod Serling through a barrage of his own TZ characters while you brave disorienting special effects (TZ frequently used a canted camera angle) and attempt to collect as many eyes (from the iconic TZ intro scene) as you can! Share your score with friends and social media, how high can you get? Flylight Zone is dedicated to my Dad who introduced me to the Twilight Zone. Check it out and I'd really appreciate a review if you have the time. Grabbed a code- it's a competent flappy bird with some nice art of iconic characters from the show. If you have the inclination, I feel you need to take the presentation and/or mechanics a bit farther to stand out in a sea of FB clones- push the B&W TV theme (distortion, noise), more variety. Certainly TZ fans may purchase for nostalgia. I also don't know what the color flickers and "snow" represents, just a random mystery moment? I used to watch Twilight Zone all the time when I was a kid. Thanks for the code I claimed. Thanks Dalion I'm glad you appreciate those! Sacepolicy yes there are sounds...a bug maybe? I have a 6s, but tested ok on the 7 simulator? Darn it, missed the codes, but great way to get some interest!! I don't think I've ever played a game before where I really want to get further each time just for the music / samples. It's a very simple game and may get a little repetitive, but it's fun, and I'm currently addicted. I like the screen tilts and some of the other simple, yet effective gfx!! Thanks Jackaluk! I plan on adding more game elements in subsequent iterations, appreciate you checking it out! "There is a fifth dimension beyond that which is known to man. It is a dimension as vast as space and as timeless as infinity. It is the middle ground between light and shadow, between science and superstition, and it lies between the pit of man's fears and the summit of his knowledge. This is the dimension of imagination. It is an area which we call the Flylight Zone." if you have the chance please leave us a review!